Via van is getting as popular as Uber, offering rides as low as £3 in central London. 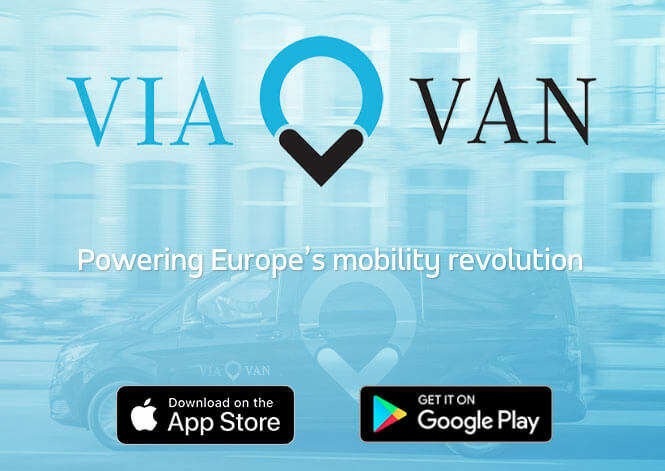 If you haven’t ridden with them yet get your free £20 ViaVan free credits! Update: it will get down to £10 soon, be quick! Update: it’s now £4 for your 3 first ride. Download the app on your mobile from https://www.viavan.com/ and get your invite code for free rides! Download the app and register as a new user on your mobile phone. Enter the code “ hermann2e8 ” in “Promo Codes” tab. Location: Uber is available in many cities but so far ViaVan app is only in London, Amsterdam, and Berlin for now. Service: both a mobile app, similar technology behind. The new one is trying to offer more service such as packages named ViaPass. At the moment you can buy 3-day London ViaPass and 1-Week at £25 and £29, both pass offering ride free in London up to 4 daily rides. Uber recently had a new look with their branding. ViaVan concurrence is rising and I wouldn’t be surprised if they grow up massively. This more focus on pooling, as the “Uber pool”. So you share the ride with other travellers in order to pay less. I personally used Uber pool in different cities of the world and it can be good fun. The service is nice. They are still fresh. It was founded in 2017 as a joint venture between Mercedes-Benz Vans and Via so let’s see how their evolution goes. In the meantime, enjoy some free ride! to get £4 off your first three rides. Get £20 Off Your Journey! !